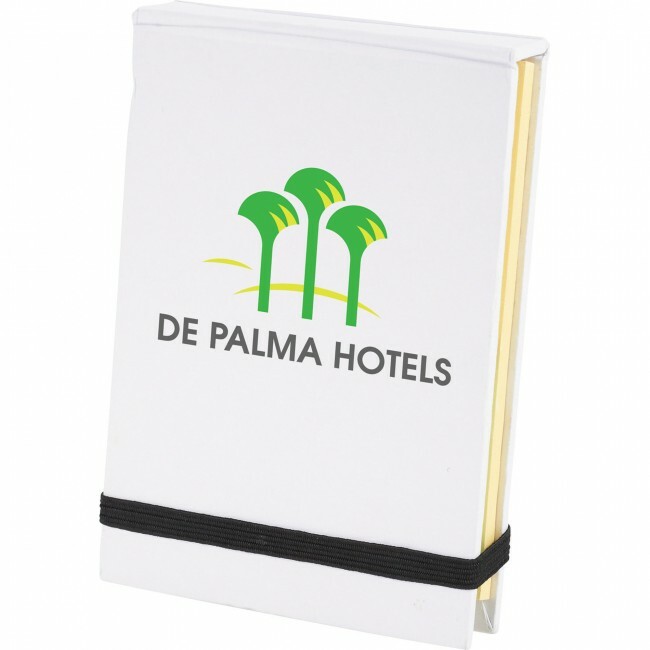 The Super Sticky Notes Booklet features a hard cover jotter-style booklet that includes 25 sheets of sticky flags in five colors, a 25-page 3" x 2" yellow sticky memo pad and a 50-page 4" x 3" yellow sticky memo pad. It also includes an elastic closure. 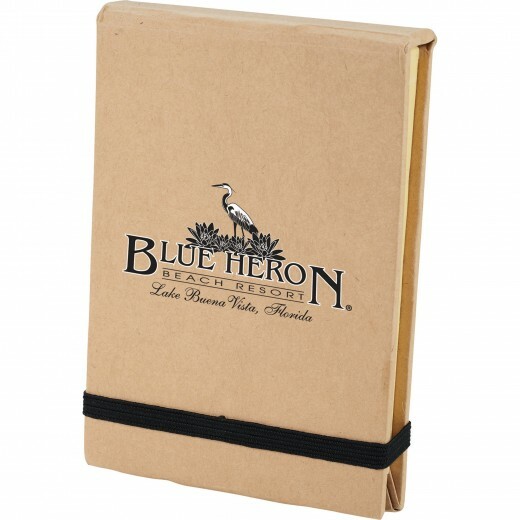 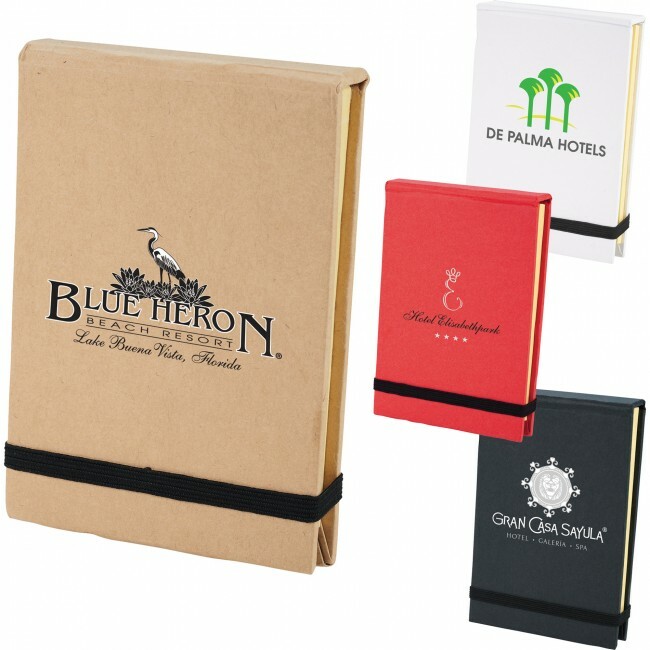 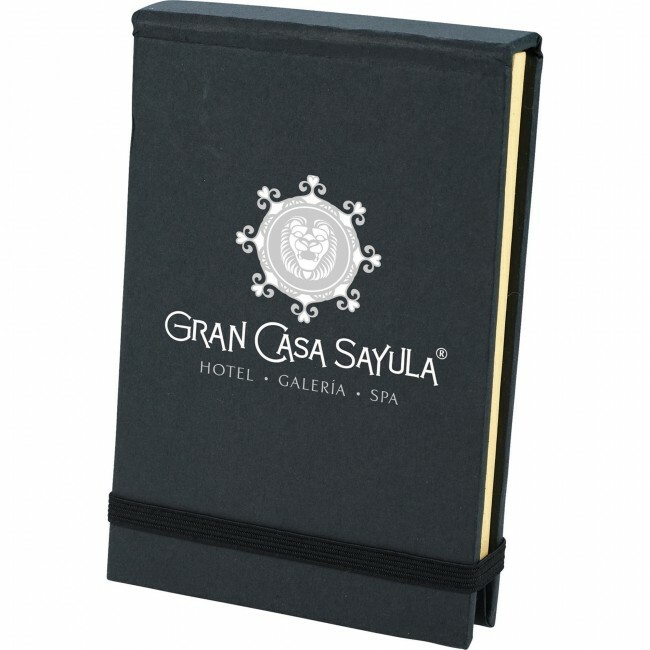 This classic hardcover jotter-style booklet has an elastic closure. 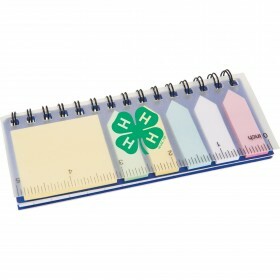 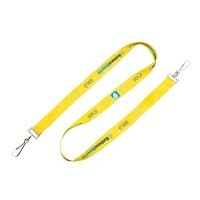 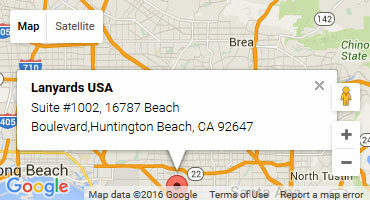 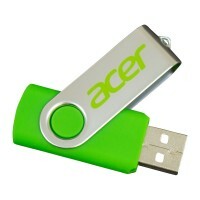 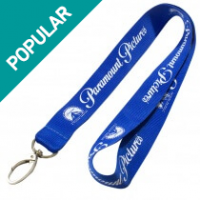 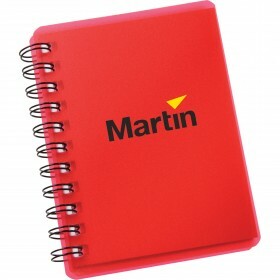 Increase your brand visibility by printing your brand's name on the front. 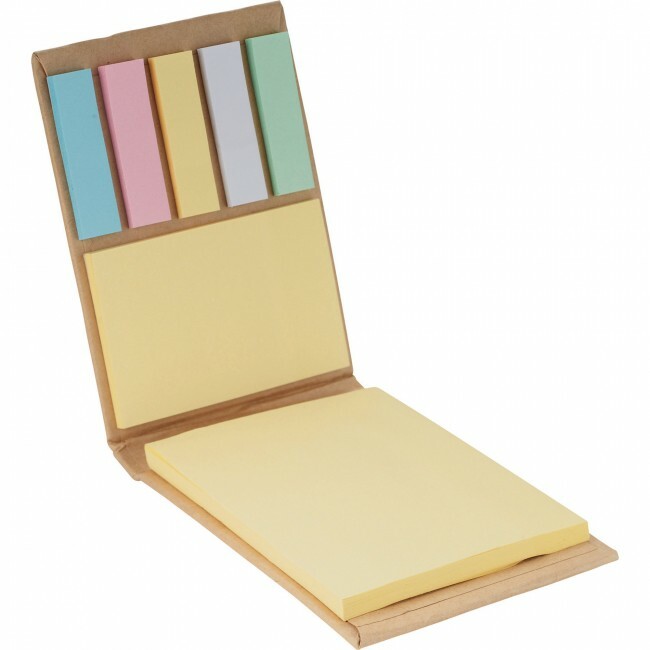 Inside the Super Sticky Notes Booklet has 25 sheets of sticky flags in 5 colors, blue, pink, yellow, white and green to highlight important parts of documents or books without permanently marking them. 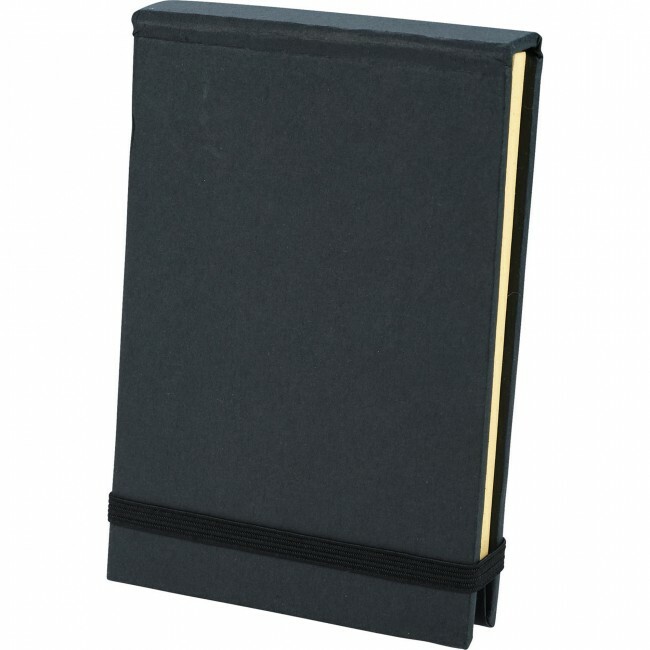 There is also a 25-page 3”x2” yellow sticky memo pad and a 50-page 4”x3” yellow sticky memo pad to write down ideas and phone numbers. 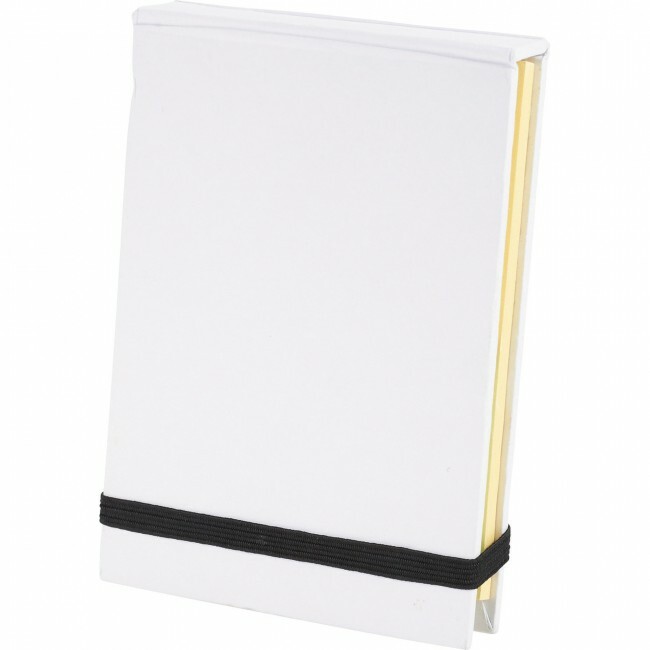 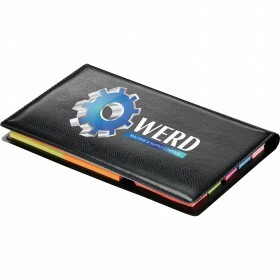 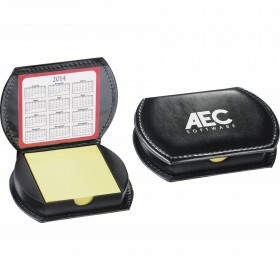 This notepad is a great choice for staying organized.